Summer. Like most countries in South Asia, summer in Hyderabad generally begins during March and ends somewhere in end-may or Mid-June. 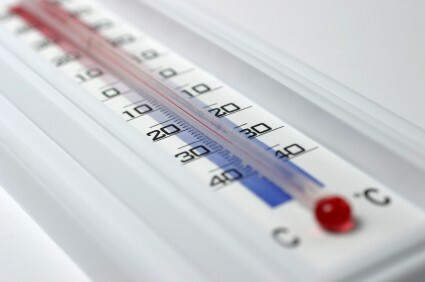 During this time, the temperature in the city can reach 40 degrees Celsius especially in May, although the average temperature is normally 25 degrees. During summer, the most popular places to go are, generally, the places where people can be cool and relaxed. As such, places like water parks such as Ocean Park, Jalavihar, or Mount Opera are famous places to beat the sweltering summer heat. There are also great places for swimming, like the Dolphin Swimming Pool and the Banjara Hills. These places usually charge on a per hour basis. During nighttime, summer can be refreshingly cool and some people actually prefer visiting the landmark places during this time. Monsoon. Immediately after summer, from June to about October or so, the monsoon season sets in. During this time, the heat can become very much bearable, warm and humid. Monsoon in Hyderabad is pretty much marked by plenty of rainfall, with a high level of humidity accompanying it; more than 75% of the rainfall that the city receives happens during this season. July is usually the month where there are more rainy days but September is when the rains are heaviest. Given Hyderabad’s dense population, anyone visiting the city during this time should expect more traffic than the usual. Winter. From November to February, Hyderabad experiences the winter season and, generally, is what most people regard as the best time to visit the city. Unlike the northern parts of India, winter in Hyderabad isn’t overly chilly; it’s actually pretty pleasant. During winter, the average minimum temperature hovers around the 13 degree-Celsius range, although it can rise up to the 28-degree range. For the most part, cotton clothes are a safe choice when going to Hyderabad, except in winter when light woolen clothes can become necessary. Humidity in the morning is usually very high, especially during the monsoon season, when it can exceed 80%. During the summer months, humidity can drop to an average of 25 to 30%.